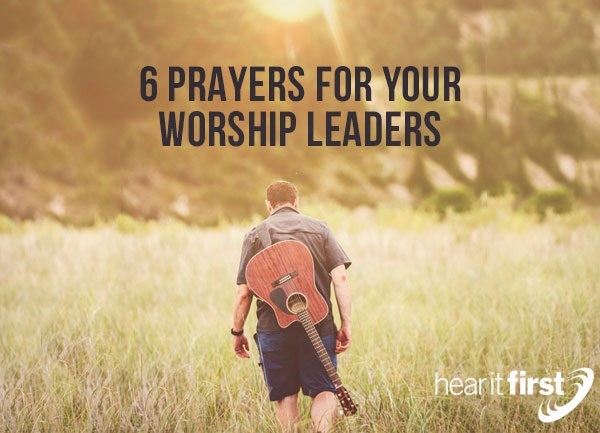 Here are six prayers for your worship leaders you might be able to use. Righteous Father God, I pray for our worship leaders and also those who are leaders in other areas like Sunday school and administrative positions, but for now, I ask you to help our worship leaders focus on what You desire and that is that You be glorified in our worship services as we worship You. I pray we worship You in spirit and in truth (John 4:24) so we can bring glory to You through our praises and thanksgivings. Please help your Spirit enable those who lead our worship services to seek to give You the credit for all we do and to help us focus on Your desire to be glorified and in His name we pray to seek more glorify for this, Jesus Christ, amen. Holy Father in heaven, thank You for Your faithfulness given to us in Your own Word. These hold great and precious promises that we can cling too. It is only by Your Word that we know we can trust Your faithfulness, so help us and our worship leaders stay faithful to You and to Your Word so that we can be empowered to live a life that is more pleasing to You. When we worship together, help us, as the body, and those who are leaders, stayed focused on glorifying You and in being faithful to what is revealed in Your written Word, the Bible. May we all be faithful to its teachings and for the glory of the name by which we pray, Jesus Christ, amen. Father God, You are full of wisdom and truth, so help those of us who lack wisdom be given the wisdom that comes from above (James 1:5). Our own ways are not safe Lord. We know that what we think is right is often just the opposite of what You desire. Father, give our worship leaders the wisdom that only comes from You and that this godly wisdom would help them know how to apply biblical principles in a way that shows love, kindness, patience, but also discipline, when needed. Sometimes it is difficult to know what to do, so help them to know the way that You would choose and to follow those things taught from Scripture as the final word on authority, and to fear Your Word. The beginning of wisdom is the fear of You oh Lord, and in Christ Jesus’ holy name I pray, amen. God our Father, You know our hearts and that they can easily deceive us (Jer 17:9), and we don’t always realize that we are taking credit for things that You have done and not we. I know I have done this before so please forgive me for when I have, and perhaps, for the time I do it again, but help those worship leaders in our church understand that You will resist anyone that is full of pride (James 4:6), and that Your grace is like water; it always flows downhill to the lowly, the meek, the humble, and broken in spirit. We have nothing that we did not receive from You God, so what could we ever boast about (1st Cor 4:7)? Help me, help our church, and help our church leaders remain small in our own eyes and to recognize the danger of exalting ourselves which could bring a great fall from grace; so I pray for these things for Your glory and for the glory of Jesus Christ’s name, amen. Righteous God, I know Your desire is that we live holy lives that are pleasing to You. Not sinless lives, but give us help to sin less by Your Spirit so that we can be salt and light to others who need this image of Jesus Christ so that they might be drawn to Him. Help, by Your Spirit, our worship leaders to be able to lead diligent lives that remain above reproach and help them to avoid those things in the world that tempt. We know the enemy has a mark on the leadership of the church, but also on their families. I pray they put on the whole armor of God (Eph 6) every day and keep the pulls of the flesh and the pride of life from overwhelming them Lord. I ask Your hand to be upon them and their families and to hedge them in from the enemy who seeks to destroy their family, their ministry, and their witness for Jesus Christ and it is in His precious name I pray, amen. Father, there isn’t very much peace in the world today. There is so much violence. In fact, there is no real, true, lasting peace. It comes and it goes, but we thank You God that You give us Your peace. This peace came from Jesus’ own life and death (Rom 5:1), without which we would have no hope of ever having a relationship with You. I pray for these worship leaders and their families to have the peace of God, which You say surpasses all human understanding (Phil 4:7), and that they are at peace with You but also at peace with their family, which is their first earthly priority. Father, these worship leaders and their families are often under the microscope of others, so please help the church to not expect them to be perfect, and only human like they are, but still, as being those whom He has sovereignly placed as He pleased. It was not our decision Lord, so let us give these worship leaders the respect You say they are worthy of. So we pray for the worship leaders to live a life of peace in Christ, and we pray in Jesus’ holy name, amen. Perhaps you could leave a comment and give us one of your own short prayers for worship leaders. I am sure I missed some points that you have thought about that I didn’t, so please include those too. We can never have enough prayers to pray for our church leaders and for their families. Besides, if it blesses them, it blesses the whole church.